When you work with wood you enviably get splinters in your flesh. For some time now, I have been working on our log cabin and have come to know this frequently all too well. I keep plenty of Band-Aids and electrical tape in my truck for administering first aid and a tube of triple-antibiotic to battle against infection. 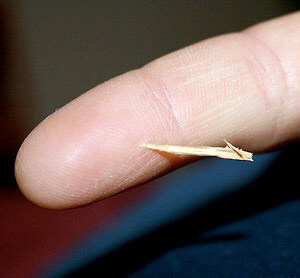 If the splinter is causing pain, I remove it. In order for me to remove the splinter I need a knife or pair of tweezers to aid me in digging the splinter out of my flesh. I also need plenty of light and I now, with my ageing eyesight, need my reading glasses to magnify the injury! If I can’t see the splinter even with my magnifiers, I can still feel that there is something foreign under my flesh. Sometimes I realize this immediately depending upon the size and nature of the splinter. However, sometimes I am unaware that I have acquired a splinter until an infection sets in and my skin turns red and it becomes tender to the touch. I also suffer the effects from another type of splinter, but this one lodges in my heart and adheres to my soul. These splinters are foreign objects and should not be found in my temple of God. But I have even grown accustomed to their existence and chose to continue on in life ignoring the soreness and the infections they have caused. These splinters come from the jagged edges of sin and they hide in the darkness of my self-justifying intellect. I like to feel good about myself and my actions, and therefore ignore their existence! I allow the sinful splinters to separate me from the loving embrace of my creator which is the beginning of an infection that can literally threaten my life. Their existence distracts me from the light of Christ and I cling to the darkness seeking a place to hide them. As I stood there along the bank of the lake I instructed the youth that were fishing with me: “You can’t catch a fish if your line is not in the water.” After all, there is a difference between catching fish and fishing! And since results were not happening fast enough, my companions had a tendency to keep reeling in their line to make sure their bait was still on the hook! And it usually was unless the youngins threw it off the hook with one of their many casts into the water showing off all their bionic strength! As far as catching fish that day, with all of the casting activity on the surface of the water, the fish probably swam away to safer waters. Well, perhaps I was lacking as a fishing instructor! After all, I have never been a great fisherman or hunter, but not yet quite a vegetarian either. You see, in the red neck dictionary the definition of a vegetarian is “one who can’t hunt or fish!” But here in our Gospel reading today, these men were professional fishermen, making their living and feeding their family by the filling of their nets! These men knew every way and everything there was to know about catching fish! Peter and Andrew were having a tough time fishing. They patiently fished all night and did not catch a thing. There nets remained empty. But after a fishless night, the grace of Christ made what was impossible, possible. Not only were the nets filled but they were full of fish even with tears in the nets. And there was enough fish caught to fill two boats and the boats were overloaded and began to sink! In my life, my nets have known emptiness too! 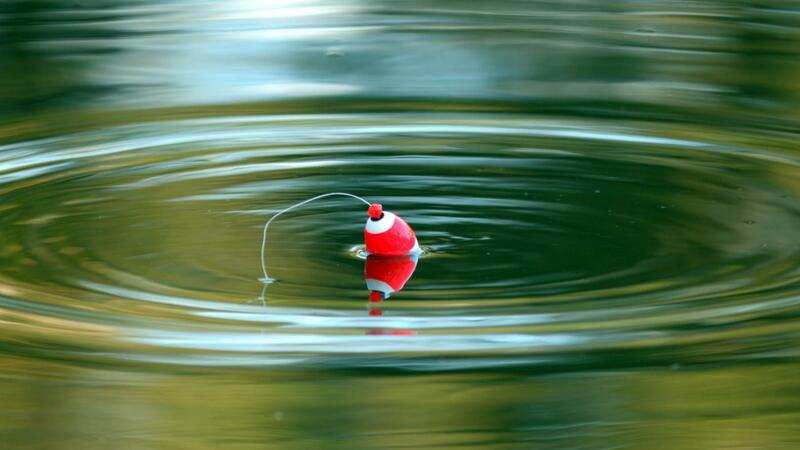 There have also been times when I didn’t even get in the boat but chased empty pursuits that did not sustain me! I also know there have times in my prayer life when my nets have continually been empty! As Christians even when our nets are empty, we need to continue fishing. “If you do not feel like praying, you have to force yourself. The Holy Fathers say that prayer with force is higher than prayer unforced. You do not want to, but force yourself. The Kingdom of Heaven is taken by force (Matt. 11:12).” – St. Ambrose of Optina. We need to keep our lines in the water with disciplines of prayer, fasting, worship and charity even we it seems all hope is lost and our harvest is fruitless. The measure of a Christian is most accurately measured during these times when we have exhausted all of our efforts and our nets seem empty! Therefore, by resisting and fighting evil, we help to establish the Kingdom, or more correctly, we enter it and take possession of it. We have one goal in life, seeking and serving God. And as God’s servant we are to be fishers of men. So many times we get distracted by worldly goals and get ourselves blown around by the storms of life. Yet we can be successful even with holes in our nets! 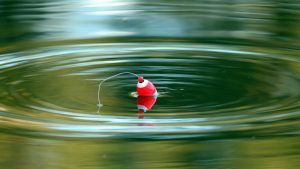 We just need to remember the basics, keeping our equipment ready and maintained, our Christ-like bait fresh and on the hook, and of course keeping our line in the water with constant prayer and worship! And with the grace of Christ, our boats will be filled. We’ll catch ‘em and He’ll clean them!